We welcome and appreciate the generous community support we receive, from individuals, groups, schools and workplaces, to assist people facing adversity and hardships. One of the best ways you can help families and individuals we work with is to fundraise. Additional funds allow us to increase the number of people we support and expand the range of services we offer. There are many ways to raise funds to help support Micah Projects. support Micah Projects as your corporate charity partner. 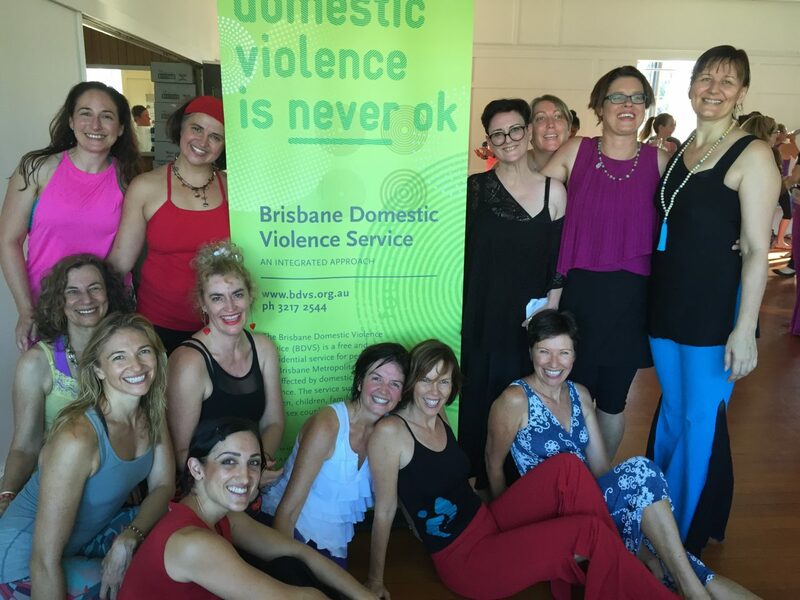 The Nia Brisbane community held a ‘One Billion Rising Dance Jam’ in February 2016 to raise funds for our Brisbane Domestic Violence Service. Photography: Robyn McDonald. Fundraising provides a wonderful opportunity for people to give back, by providing vital support for others, and developing a strong sense of community within schools, community groups and workplaces. Monies raised for Micah Projects can be provided in general, where we will allocate funds where needed to achieve the greatest impact, or for specific projects, such as furnishing a home for a family moving from homelessness into a home. Our programs and services are developed using the best available evidence-based research. We ensure every dollar received attains maximum positive impact towards our mission. To find out more about fundraising options, or if you have a creative fundraising idea, please email us. The Micah Projects school partnerships program provides an opportunity for students to learn more about the life experiences and challenges faced by people experiencing adversity. Students feel pride and joy when they contribute to community without the expectation of reward. Dedicated Micah Projects staff are willing to present age-appropriate information sessions to student groups, to highlight the positive impact students can have on the lives of others. 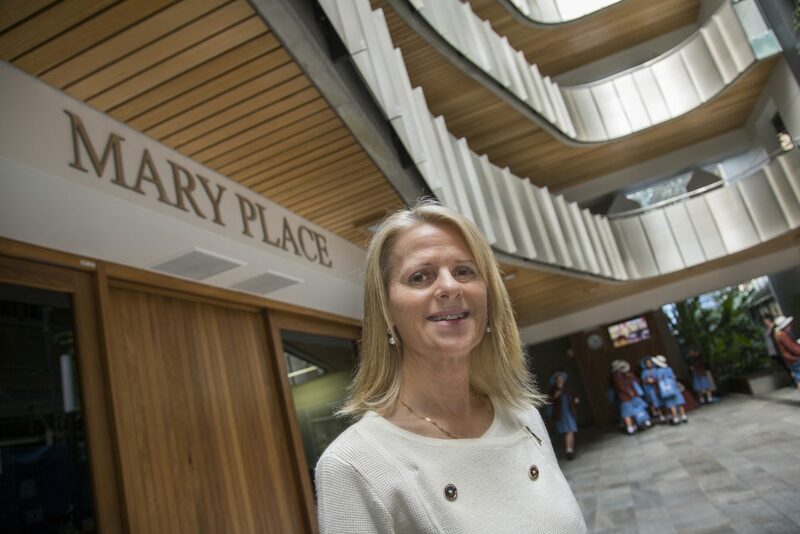 We are proud of the highly successful school partnerships we have established. Schools involved in the Micah Projects school partnership program have raised funds and donated goods to support vital programs, including community meals, welcome home packs, Christmas hampers, personal hygiene packs and the provision of emergency accommodation. Angela O’Malley says their unwavering support for Micah Projects reflects the natural alignment between the missions and visions of the two organisations. We are always eager to foster new partnerships with Brisbane schools. School-based fundraising is a great way to develop teamwork skills and a sense of community responsibility. There are many ways your school can raise funds to help support Micah Projects. nominate Micah Projects as the recipient of school charity programs. 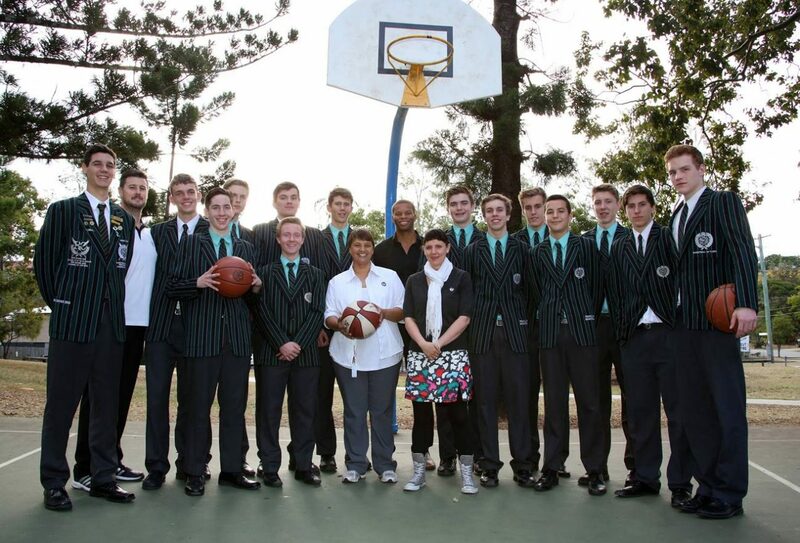 Brisbane Boys College’ basketball team with Maria and Joanne from Micah Projects. The team raised funds to furnish a home for a family housed through the 500 Lives 500 Homes campaign. Photography: Precious Moments Photography. You can also help Micah Projects raise funds and awareness by displaying a Micah Projects poster in your workplace or local community notice board. To find out more about school partnerships, fundraising and donations, please email us. Fundraising for Micah Projects, is a great way to foster and strengthen teamwork and organisational values, while contributing to the support of others within the community. nominate Micah Projects as the recipient of staff charity programs. 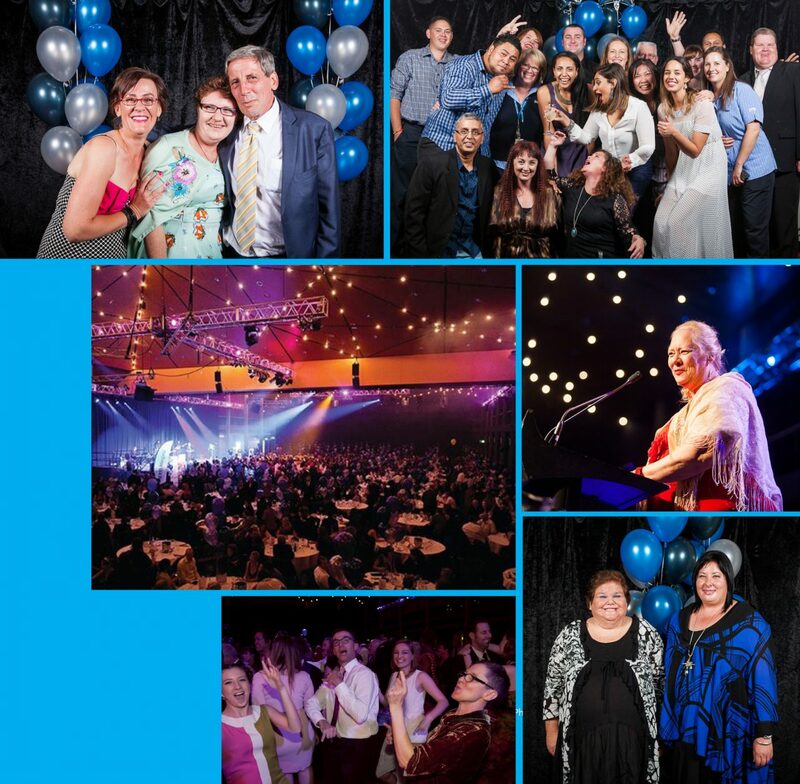 Moonlight Magic Dinner Dance is one of the only gala events in Brisbane which is truly inclusive of the broad spectrum of our community. It is a night of glamour and fun where the dance floor is packed from the beginning of the night till the end. Many workplaces support Micah Projects, by collecting and donating pre-loved formal wear for our annual Moonlight Magic Dinner Dance. Unlike other charity fundraising events, Micah Projects ensures this flagship event, is as inclusive and accessible as possible. People supported by Micah Projects purchase tickets at a heavily discounted rate. They choose an outfit to wear and keep, from new and preloved evening wear, donated by supporters. In addition to employees supporting Micah Projects, we also welcome support from organisations in the form of corporate partnerships. You can also help us raise funds and awareness by displaying a Micah Projects poster in your workplace or local community notice board. To find out more about workplace fundraising and donations, please email us. Micah Projects hosts a number of community-based events. We convey our mission by sharing powerful stories of local Brisbane people whose stories would otherwise go unheard. Inclusive events, such as the annual Moonlight Magic Dinner Dance, provide people with an opportunity to learn more about our impact for change in the community. Moonlight Magic Dinner Dance was established as an event to foster inclusion for people who experience social and economic disadvantage. 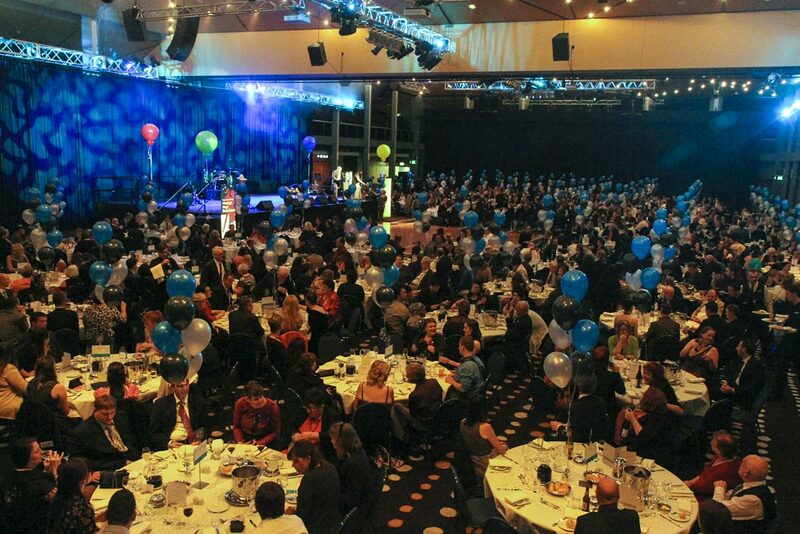 It is one of the only gala events in Brisbane which is truly inclusive of the broad spectrum of our community. It is a night of glamour and fun where the dance floor is packed from the beginning of the night till the end. As a not-for-profit organisation we also host fundraising events to sustain our community work. These events allow us to increase the number of people we support and expand the range of services we offer. Refer to Facebook, Twitter or our website Upcoming Events page, to find out more about community events and opportunities to support Micah Projects. If you would like to include Micah Projects at your community event please email us.